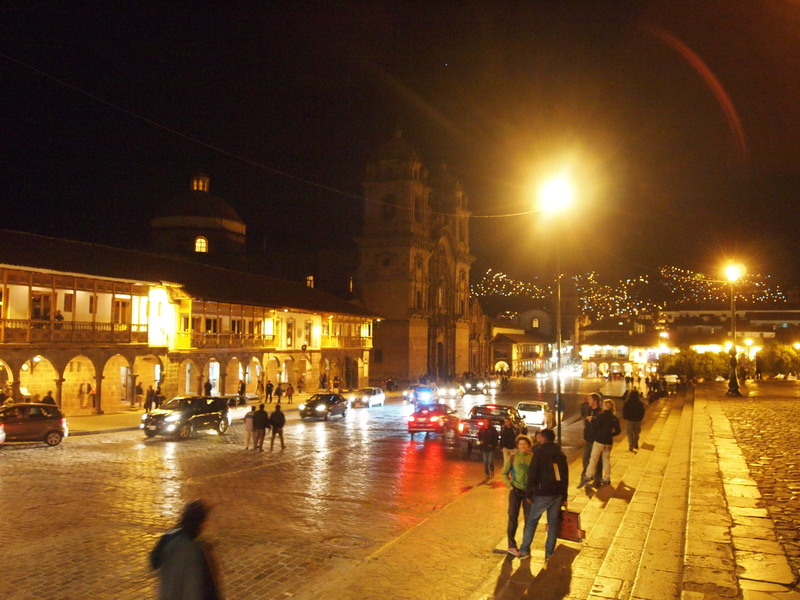 Cusco begins and ends with its streets. Meticulous stonework of the Incas is meshed with Spanish details. 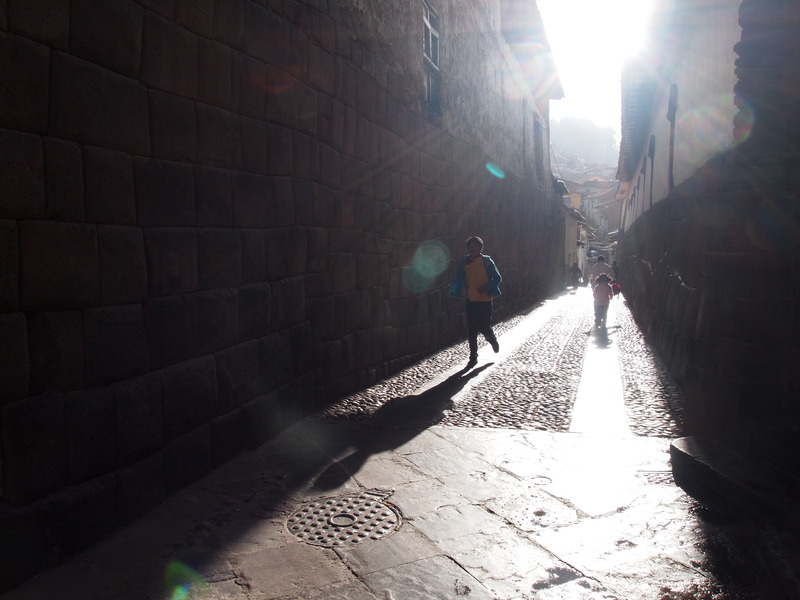 Each street and alley winds up and down smooth cobblestones, that which withstood centuries of mules and rubber. The seemingly natural co-existance of the old and the new is, at the same time, unnatural. 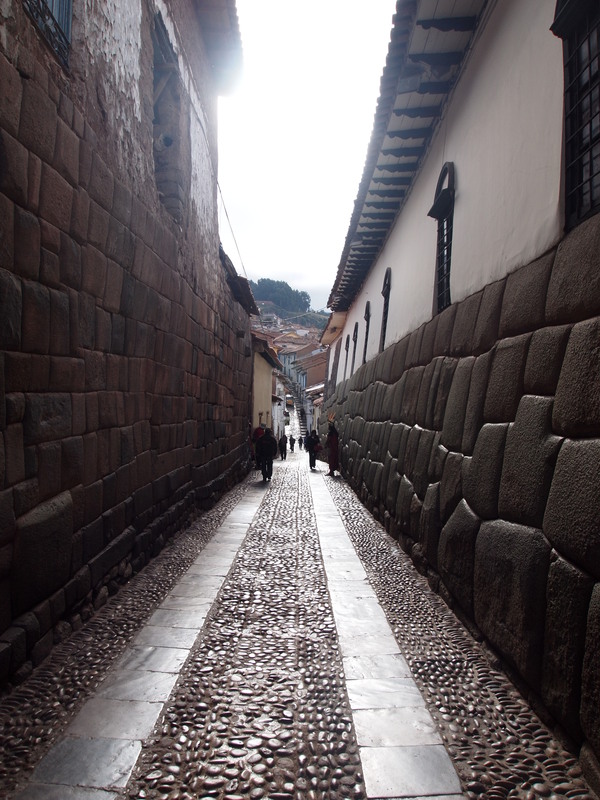 Miniature cars race through streets barely wide enough for them, tumbling here and there over flattened stones adjacent to stone walls hand-built by the Incas of centuries past. Women in traditional garb hurry down the street bashfully, while travelers from everywhere wander up the street to maybe nowhere. Space is tight. 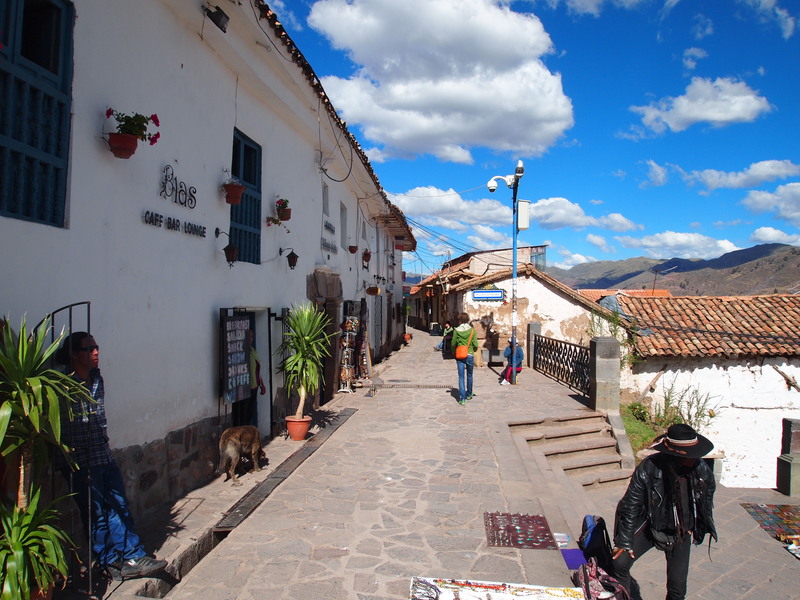 Sidewalks are often layered terraces, resembling those that embrace the ancient city of Machu Picchu. 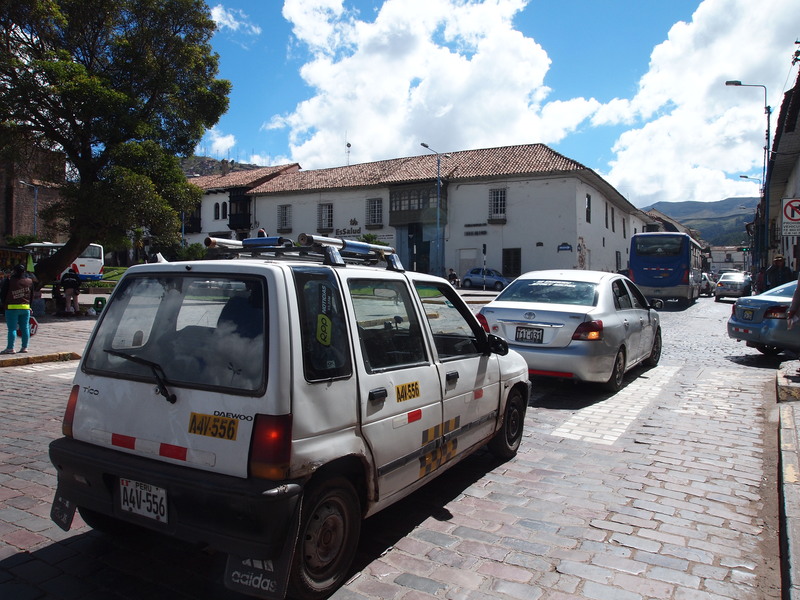 Barely wide enough for two pedestrians, one must dart to and from the sidewalk to the cobblestone street, avoiding people and cars, and stray dogs. 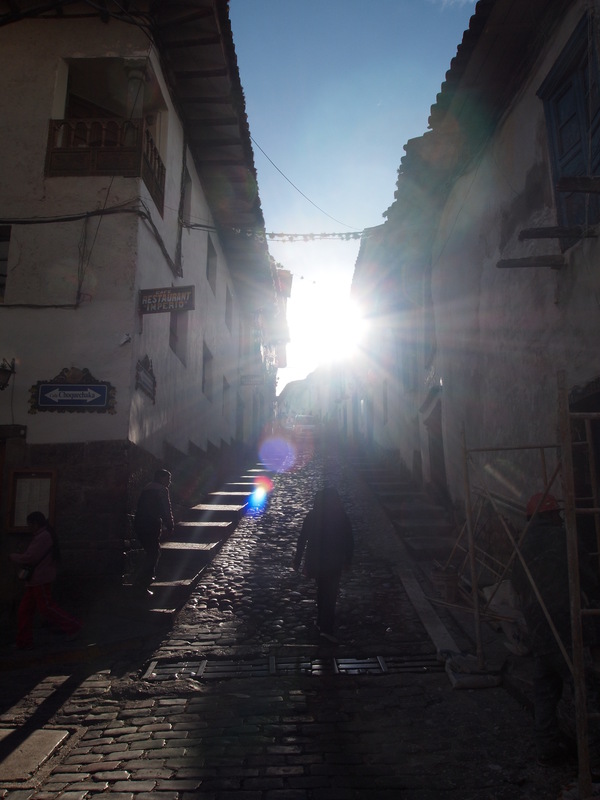 In some spots, the cobblestones are as unpredictable as the trails that encircle the great Salkantay Mountain, treacherous grounds lurking for weak ankles. Space is tight and that is beautiful. It forces encounters. The new and the old, the local and the foreign, the there and here – we all meet in the street. 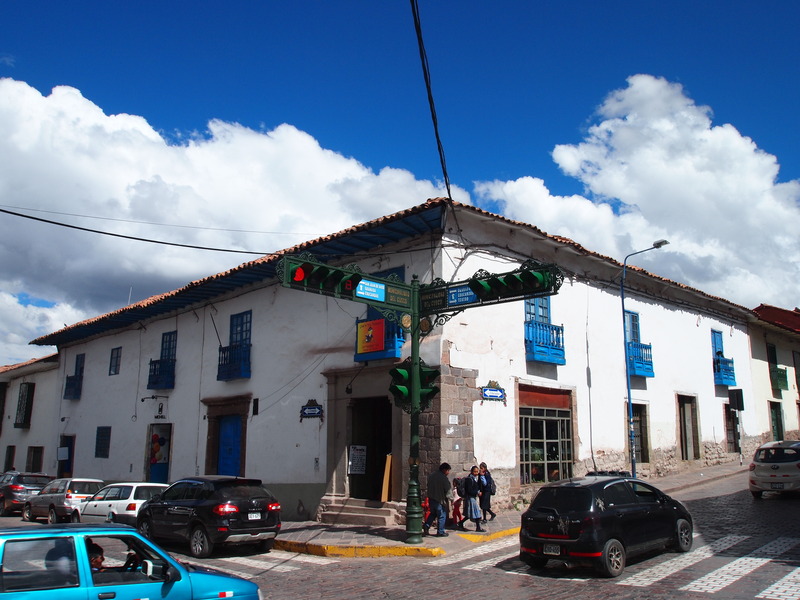 Above the buzzing streets, the deep blue of the clear Andean sky is a blank canvass for the clouds to dance upon. The mood, and the shadows, changes quickly. Clouds form, come, and go, often without much notice. Droplets of rain drizzle sporadically, only to vanish with the clouds, as if they are afraid of the scorching sun. 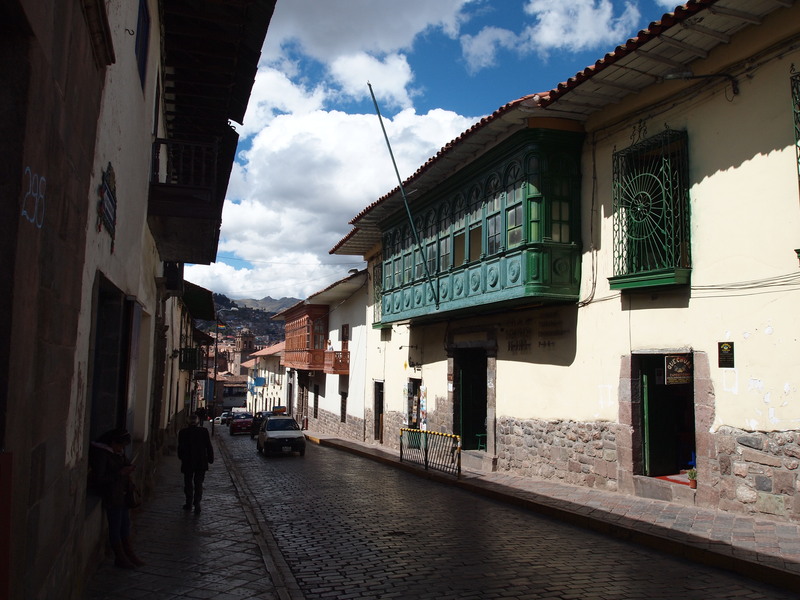 The color pallet of Cusco is as diverse as the landscape of the Andes. 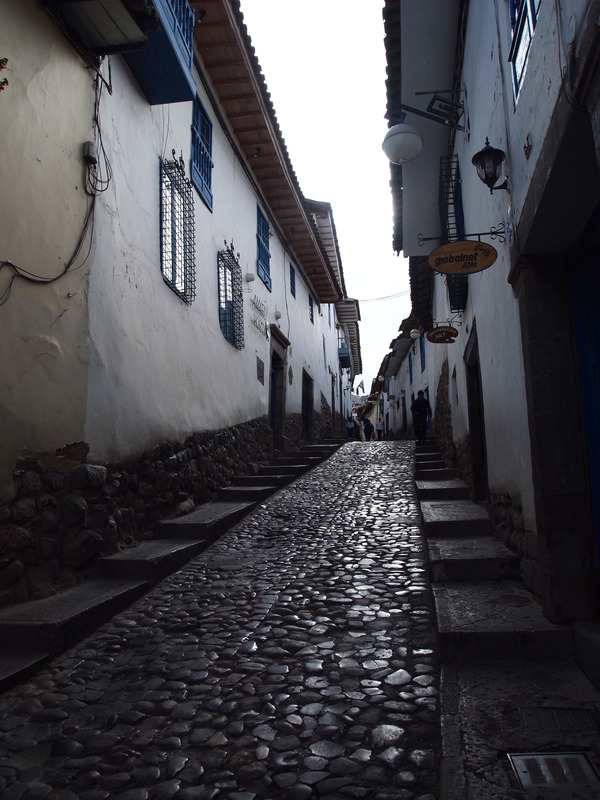 Upon the base of gray cobblestones and reddish brown roof tiles, splashes of red, yellow, blue, green quietly market their existence. Nothing overpowers. This is not unlike the famed Incan tapestry. Colors are celebrated, but not to the detriment of the balance of the whole, always in harmony with the base colors. 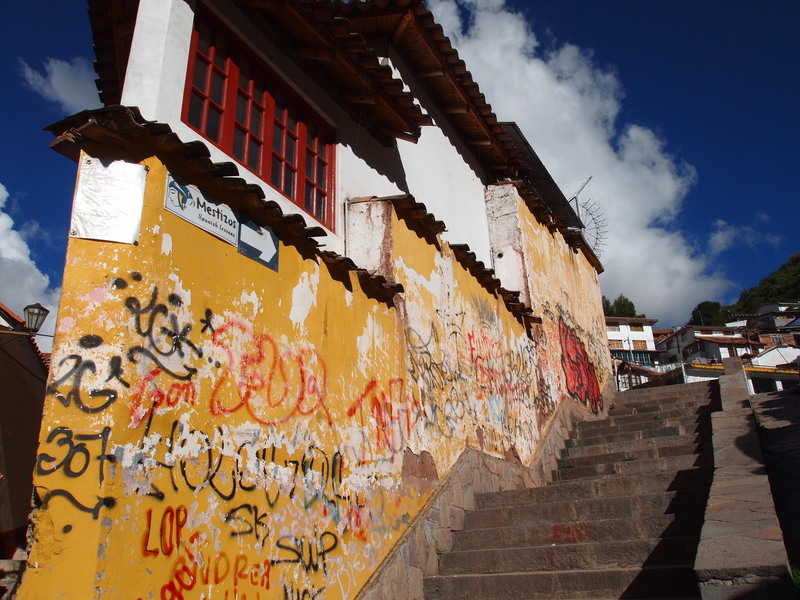 The streets of Cusco are works of art. They seem planned yet unplanned, designed yet organic. Then again, history is a designer. Time adds layers and angles not easily perceived my narrow human perception, trapped in the past and in the present. Time is an overlooked creative force. A stone or two in a day or two, a new structure or two in a year or two, a new neighborhood or two in a decade or two. History’s tragedies – the bloodbath of the Spanish invasion of the Incas – never truly heal. And yet its progeny still stands, and ironically exhumes beauty. Everything changes, and nothing changes. 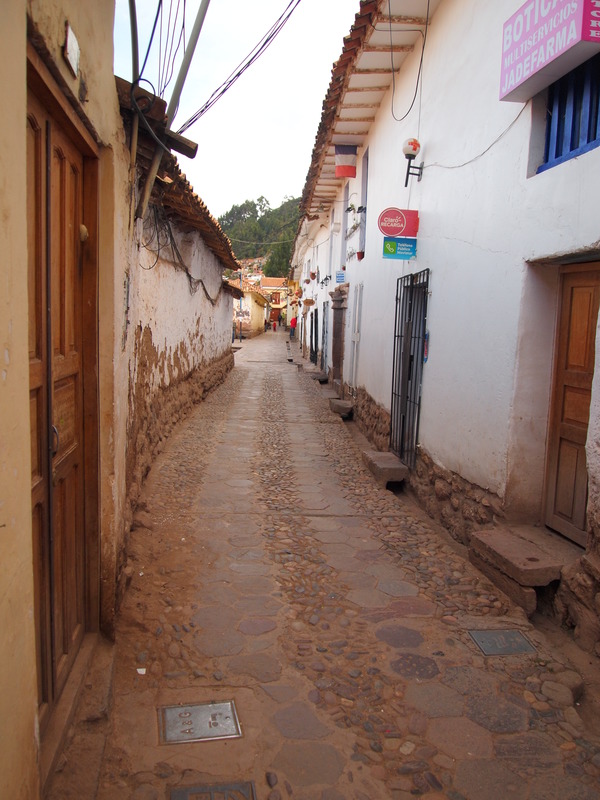 Colors and stones will add to Cusco. Cars change, streetlights change, people change. 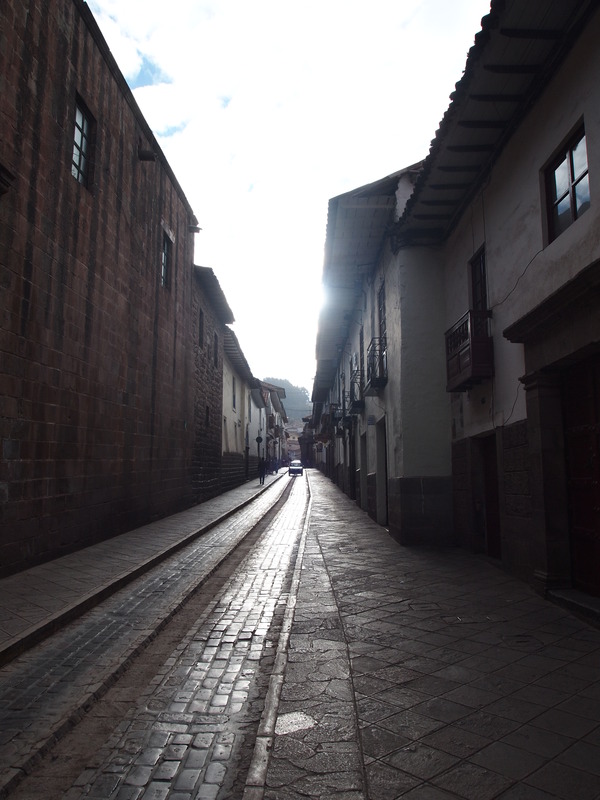 But as long as the cobblestones blanket the winding streets and the clouds hover to and fro, Cusco remains.